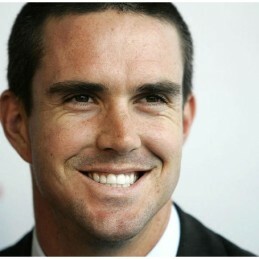 Kevin Pietersen is one of the most exciting cricketers to play Test cricket for England. With masterful execution and timing it is no coincidence that England’s return to cricketing power has been timed with the rise of Kevin Pietersen. Born in South Africa to an English mother, Pietersen turned his back on South African cricket as he felt the racial quota system restricted his opportunities…. Born in South Africa to an English mother, Pietersen turned his back on South African cricket as he felt the racial quota system restricted his opportunities. Pietersen’s self-belief, often mistaken for arrogance, and courageous yet sometimes unorthodox play has given him global sporting celebrity and mass appeal. In 2013, Pietersen became England’s highest run scorer in all international forms of the game combined. His ability to dictate terms on the field is perhaps only matched by his ability to divide opinions off it. Although a proven performer and match winner, following England’s 2014 5-0 Ashes defeat, the English Cricket Board ended his international career citing nine years of controversies and the need to build ‘team ethic and philosophy’. Conceding that he would never play for his adopted country again, Pietersen turned to the Indian Premier League. In February 2014, Pietersen signed a contract with the Dehli Daredevils for the 2014 season. Pietersen will also play for the Melbourne Stars in the 2014/15 Twenty20 Big Bash. Kevin is an articulate and charming speaker who brings a refreshing, honest, and forthright approach. ‘KP’ is available for corporate lunches, dinners and golf days.